This hole has a wider fairway than some of the other played on this course. The best approach will be from the right. The terrain slopes heavily back to front on the green. You might find the slight hill helpful, just plan your putt right. This course is by far the most challenging and beautiful of all Gold Coast golf courses. Come and see for yourself what the fuss is about! 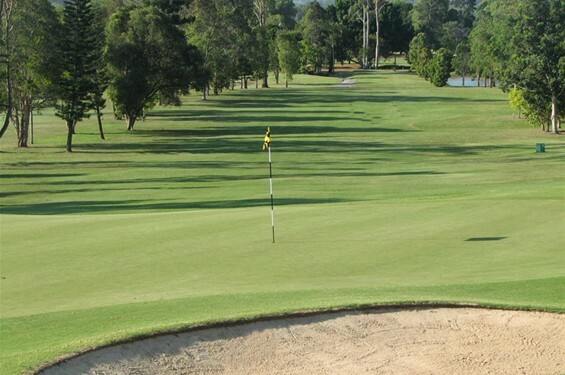 Murwillumbah Golf Course is just minutes away from the Gold Coast. It is has been played by many pro golfers from all over the world. We like to welcome all international guests and visitiors to the Gold Coast looking to play on the best Gold Coast golf courses – You can’t miss this beauty!